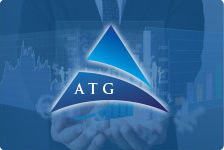 Abbey Tax Group provides a wide range of services to individuals and businesses in a variety of industries. At Abbey Tax Group, we strive to meet each client's specific needs in planning for the future and achieving their goals in an ever-changing financial and regulatory environment. At Abbey Tax Group, we guide our clients through a full range of tax planning and preparation decisions with strategies that minimize your tax liabilities, maximize your cash flow and keep you on track to your financial goals. Our expertise, experience, analysis and thorough research allow us to optimize financial opportunities to be found in existing as well as recently altered tax laws. We are knowledgeable and up to date on the tax laws and can make sense of your receipts, bills and notices. From start-ups to established enterprises, businesses rely on accurate and insightful financial information in order to maintain profitability and capitalize on new opportunities. Abbey Tax Group's business services steer you closer to these goals with accurate record-keeping and reporting as well as support on financial issues such as initial business system setup, cost-containment and tax planning. Our QuickBooks support service can assist you with any installation, setup or operation assistance you might need. Our QuickBooks review service helps companies that have the human resources to perform daily business and payroll tasks, but need an expert to review your transactions, accounts and reports. This review ensures that you receive timely, relevant and reliable financial information. 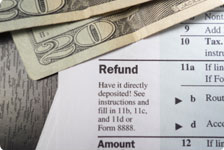 We also inform you of any corrections, adjustments or reclassifications necessary to ensure that the financial information you receive reflects the correct financial condition of your business. Reviews may be conducted at any time, but monthly reviews provide you with up-to-date information and feedback about your business. Accurate record-keeping is essential to a successful business yet can also be complicated and time consuming. Abbey Tax Group can help you with the organization and day-to-day tasks so that you can focus on your core business. The most effective way of maintaining your monthly reports is with QuickBooks. Have all the reports up to date and ready for review. Abbey Tax Group can provide this service to you monthly or quarterly. Your business entity has a large impact on your taxes and other liabilities. From your company's inception through its growth and development, Abbey Tax Group can advise you on choosing an entity type and later restructuring if advantageous. With our knowledge and expertise, you will always be receiving the most advantageous entity type for the functions your business performs. Do you need a social security or ITIN number for you or a family member? 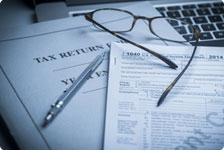 Abbey Tax Group is one of the specialized tax firms selected by the IRS to provide these services to the public. Give us a call at 281-997-7894 for more information.